Hot flashes and migraines will affect the majority of menopausal women. They can often begin in perimenopause and last well into postmenopause. A hormonal imbalance is the most common cause of hot flashes and migraines among menopausal women. To help alleviate the symptoms of hot flashes and relieve migraine pains, some women turn to alternative medicines. These can help to restore estrogen, progesterone, and testosterone levels in the body. To treat hot flashes and migraines, evaluate your lifestyle and determine whether certain changes can be made to reduce the severity of your symptoms. The safest way of treating these menopausal symptoms is to make simple lifestyle changes with the aid of alternative medicines. Find out more about alternative medicine for hot flashes and migraines below. 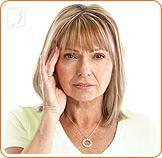 Although hot flashes and migraines are linked, migraines do not directly cause hot flashes. Research has shown that both can be provoked by changes in hormone levels and that they produce similar symptoms. Migraines are very intense and painful headaches that can be debilitating and last for hours, or even days. Women who experience migraines often have pulsing and throbbing on one side of the head, are sensitive to light and sound, and often feel nauseous. It is believed that 30% of women suffer from migraines during the menopause transition. Hot flashes are brief sensations of heat that occur when blood vessels near the surface of the skin dilate and cause the body to cool down. They can lead to flushing of the face, neck, and chest, an increased heart rate, excessive sweating, and sometimes even nausea. Hot flashes and migraines are generally caused by a change in hormone levels that create an increased body temperature. Some of the following can trigger hot flashes and migraines. Maintaining a healthy lifestyle that includes a balanced diet and regular exercise can help women regulate hormone levels and prevent hot flashes and migraines. Also try to avoid smoking and excessive alcohol consumption. A deficiency of vital nutrients such as calcium, magnesium, and vitamin D can cause migraines. Some people who consume too much salt, caffeine, or fat may have a lack of these nutrients. For the purpose of alleviating migraines however, supplements exist that can help restore these levels. Additionally, people may find relief by replenishing their levels of potassium, vitamins K, B12 and B6, and folic acid. Herbal medicines help rebalance hormone levels. Some of the most effective herbs include black cohosh, yams, horsetail, and oat straw. Acupuncture is often used to relieve pain from migraines and some of the symptoms from hot flashes. This treatment, which originated in India, focuses on balancing the mind, body, and spirit, and it is used to both prevent and treat health problems. It uses a variety of techniques to clean the body and promote overall well-being. Click on the following link to learn more about hot flashes treatments.